Inspire a trendsetting look with this top from Marie Claire. This top will ensure a perfect fit, courtesy its polyester fabric. Featuring a square neck and solid pattern, this sleeveless top boasts of enticing sophistication. 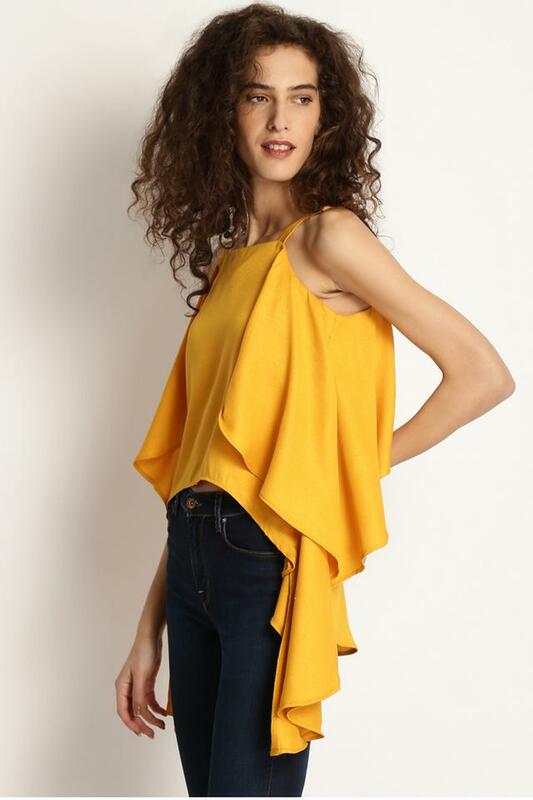 Add a contemporary edge to your looks with this top. Charm the world by coordinating this top with a pair of trousers and strappy flats.